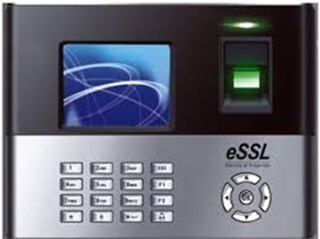 We have carved a niche amongst the customers for offering wide range of Biometric Access Control System. 1. When the premises, products, people need to be controlled and provide restrictedaccess, Technotarium has solutions for all type of access control systems. - CCTV Camera, Video Door Phone, Metal Detector, etc. which are procured from our trustworthy and dependable vendors of long-term. Our products are massively acclaimed and accepted in the market for their high functionality, superior performance, trouble-free operation, innovative technique, energy saving, compact design, precise engineering, smooth finishing and low maintenance. We also provide Security Service, Annual Maintenance Contract Service, etc. Backed by a magnificent warehouse, we have installed multiple machines and tools that are based on advance technology. Furthermore, we have recruited a team of skilled and experienced professionals, who are well trained to understand and cater to the exact requirements of our clients. In a minor period, we have gained some of the reputed clients, which include VPGL Power plant, Rajamundry, GMR Care Hospital, Rajam and GMR Energy Limited, Kakinada. Our company aims to maintain the strong reputation in incoming years as well.